From 1782 to 1925, the Grand Palace of Bangkok was the residence of the Thai King and the royal family. From a distance, the Palace is a silhouette of delicate finials spiraling above tiered roofs and gleaming, gold pagodas, a bejeweled landscape of endless wonder.The regal complex was continuously built upon and expanded over the years, creating a spectacular collage of traditional Thai architecture interspersed with more modern European influences. The Grand Place is split into three distinct areas - the Inner Court, the Middle Court and the Outer Court. Once the exclusive domain of women, the Inner Court remains inaccessible, while the Outer Court is maintained as a museum that is open to the public. This section of the Grand Palace also includes Wat Phra Keo, or the Temple of the Jade Buddha, one of Thailand's most revered shrines. 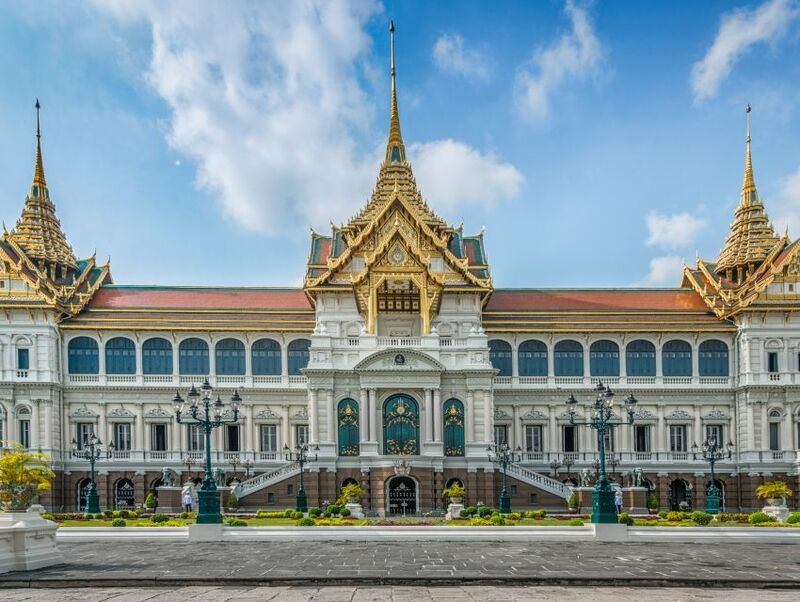 A lavish testament to the skill of the local craftsmen and their taste for intricate designs, the Grand Palace of Bangkok may no longer be a royal residence but is without a doubt one of the country's most opulent estates.